Do you wait for weeks between bathing your dog because his skin gets so dry and flaky? Or do you wash your dog one day, just to have the stink return the next? Isn't it time for that new dog smell? If you answer YES to all the questions above then it's time for us to discover Dinovite, a 100% natural ingredients dog shampoo that makes your dogs clean and wonderful for a long time. They have four different variations to choose from depending on the scent and effect that you like. For once, dogs can enjoy the sweet scent of a shampoo that we humans enjoyed. Not only this dog shampoo can make our pets smell good but it is tough on fleas without causing dry and flaky hair. 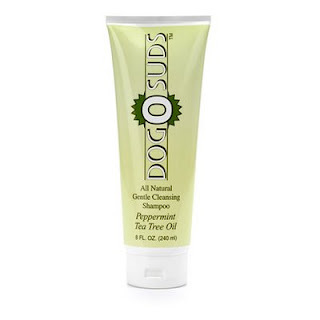 Instead it lathers and rinses easily that's why dogs that have sensitive skin will enjoy using this product. Dog owners can rest assured that there is no harmful chemicals contain on this shampoo that will caused skin irritation on their adorable pets. I'm sure my friends who have pet dogs will love to receive a gift such as this because only few people remember pampering their dogs to the fullest (of course most of them are rich peeps). Not to mention that we our making our fair share in protecting our environment by using organic products like Dinovite.